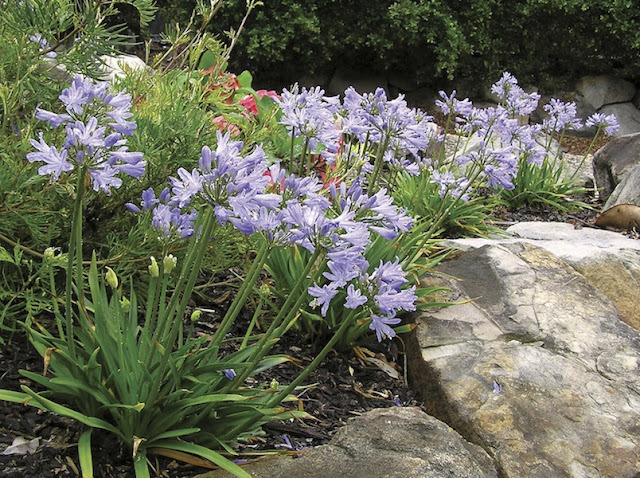 These South African members of the lily family have adapted well to hot Australian summers when their display of spectacular blue and white flowers is really at its peak. In some parts of Australia though, Agapanthus have adapted too well and are regarded as weeds—especially in cooler regions. They spread by seed and have naturalised in some seaside areas, particularly along the Mornington Peninsula of Victoria. Agapanthus species and cultivars have long, strap-like leaves that form dense clumps of evergreen or deciduous foliage. Tall stems tower over the foliage bearing heads of bell-shaped or tubular flowers, in shades of blue to purple or white. Although tolerant of drought and poor soil, both flower and foliage production improves with moisture and feeding. 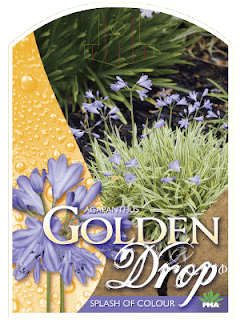 They perform best in a position in full sun or part-shade in any well-drained soil. Routine removal of spent flowers will encourage further flowering. If growing in pots. Do not use overly large containers as they do better when the roots are somewhat congested. They can be easily propagated by division in winter or from seed. There are some rather lovely dwarf forms which are superb in rockeries or containers or small spaces—eg Agapanthus Baby Pete as seen left. 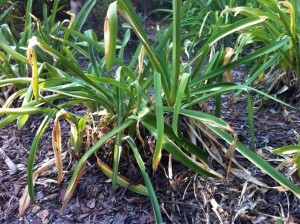 For a comprehensive article on a serious problem with Agapanthus please see here. This has been written by Catherine Stewart for GardenDrum. It would seem that we may well be going to see the results of mealy bug infestations here too as I have noticed some of my aggies with crimped leaves! 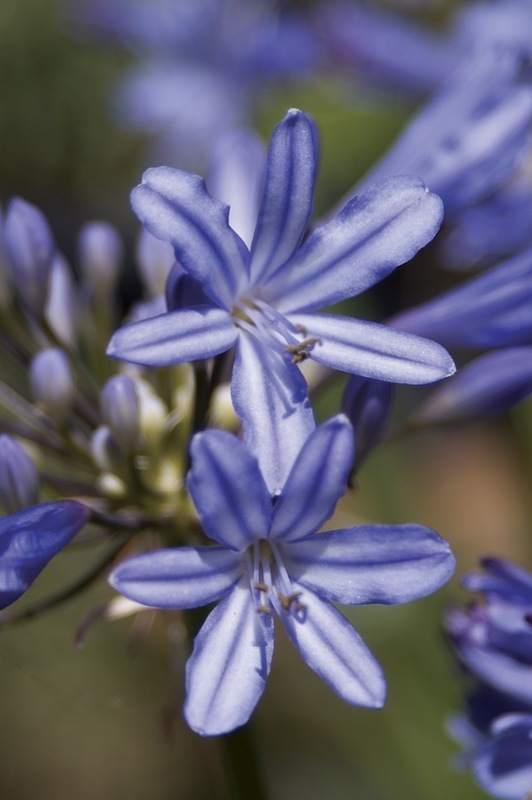 There is now a non invasive low seeding dwarf agapanthus just perfect for a low hedge or potted garden feature. 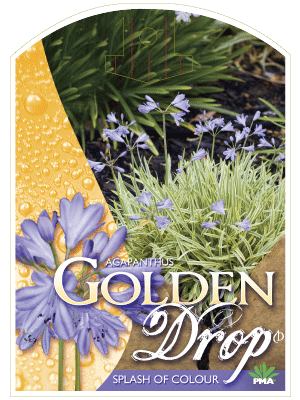 These Agapanthus have been promoted by Plants Management Australia (PMA) and go by the names Baby Pete, Baby Periwinkle and Golden Drop. PMA is an Australian owned horticultural licensing and marketing company which guides plant breeders and developers throughout the whole process - from initial intellectual property issues right through the trialling, growing, advertising and distribution of new varieties. Their website is a great place to find what is the very latest in new varieties of plants.